IN 1970, West Ham United’s manager, Ron Greenwood, a student of the global game, returned from Mexico with what he thought was a trump card. He was interested in signing Israel’s captain and star player, Mordechai Spiegler. His fascination with overseas talent preceded the late-1970s trend, which gained fresh legs through Tottenham’s audacious acquisition of Ardiles and Villa, by some eight years. But 1970 was a different time. Israel was a subject that didn’t sit comfortably with a lot of people and Britain was still a rather insular place. Spiegler was stymied by red tape and for a mature player with limited mileage remaining in his career, there were just too many hurdles. Spiegler had been highlighted as one to watch in the Mexico World Cup, even though Israel, in their one and only appearance in the finals, were also-rans. The country has always had its problems in finding an appropriate home for its football team – in 1970, they qualified via Asia, but they have also spent time in the Oceania section and now find themselves today in Europe. Arab nations have often refused to play them and in 1970 North Korea withdrew rather than meet them on the football field. Spiegler was born in Sochi in the Soviet Union in August 1944, from where his family sought refuge in Israel. Sochi played a key role in the second world war, acting as a huge hospital for Russia’s military on the eastern front. Over half a million soldiers were based in 111 hospitals and the city was awarded the Order of the Patriotic War in 1980. A lot of people travelled in various directions from the city in the post-war years. The Spiegler family moved to Netanya on the Sharon Plain in Israel when Mordechai was a young lad. The city was named in honour of Nathan Straus of the New York department store, Macy’s. Positioned some 30 km from Tel Aviv, it became the seventh largest city in Israel. Spiegler joined the local club, Maccabi Netanya in 1963, beginning a long association with his home town outfit. 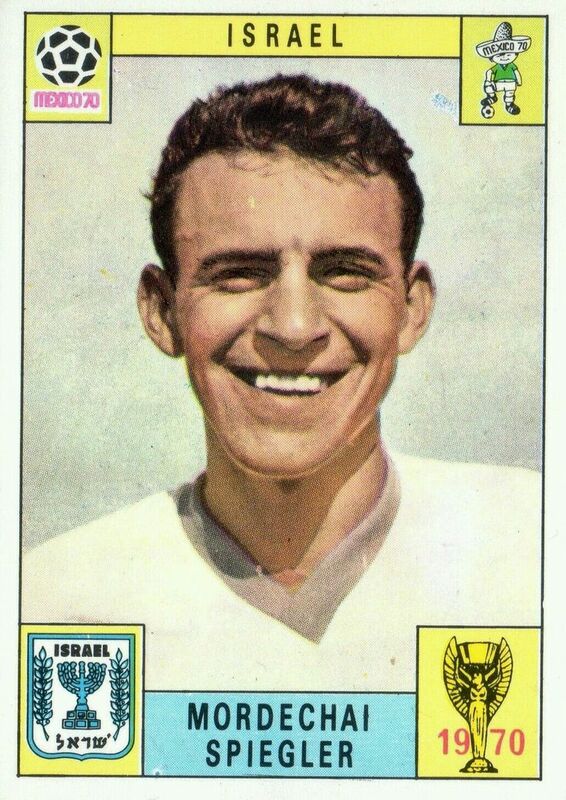 Spiegler made his name on a bigger stage, though, playing in the Asian Cup for Israel in 1964. Israel were the host nation in the four-team finals (India, South Korea and Hong Kong were the others). Spiegler, the only Netanya player in the squad, scored twice in his three games and ended joint top scorer. 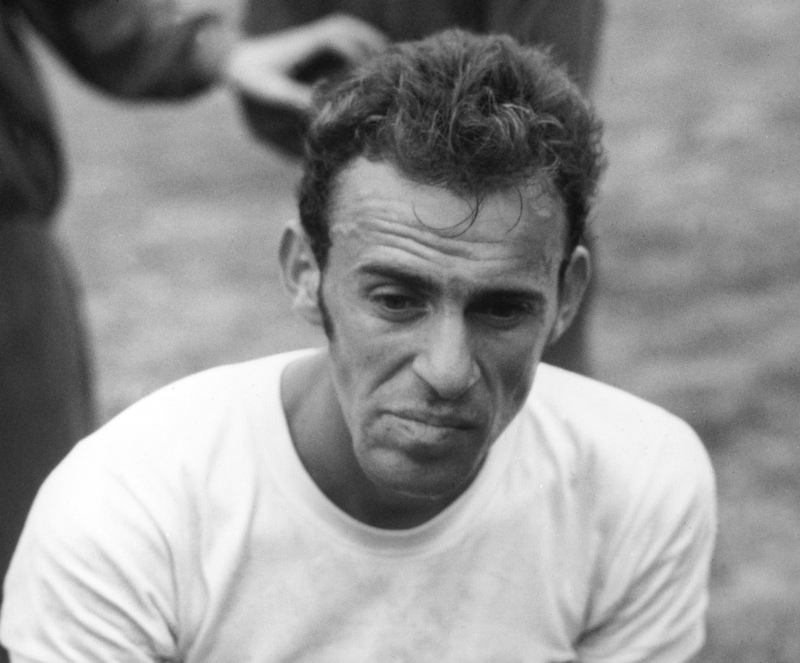 Israel had been runners-up in both 1956 and 1960. Spiegler netted the winning goal in Israel’s first Asian Cup game against Hong Kong, a 1-0 victory in Ramat Gan. He scored again in Jaffa, three days later as India were beaten 2-0. Finally, they won 2-1 against South Korea in Ramat Gan to lift the top prize. He has has often said that Israel’s Asian Cup triumph was the catalyst for further success, including qualifying for the 1970 World Cup. 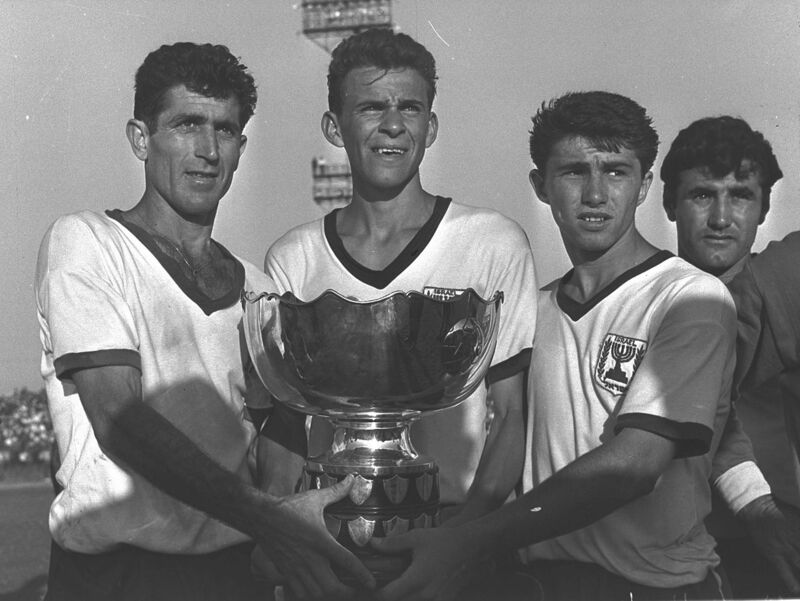 In between, Israel enjoyed success in the 1968 Olympics, reaching the quarter finals. Spiegler scored one goal in his four games. Ron Greenwood first caught sight of Spiegler in September 1968 when he saw the midfielder score four times as Israel trounced the United States 4-0 in Philadelphia. The US were coached by West Ham academy graduate Phil Woosnam who recommended Spiegler to his former club. By the time 1970 came around, Spiegler had built something of a reputation in Israel and, increasingly, abroad. He had been Israeli player of the year in 1968, 1969 and 1970 (and again in 1971) and was top scorer in the domestic league in 1965-66, 1966-68 (a two-year season) and in 1968-69. He was being courted by professional clubs, notably Nantes in France and Germany’s Borussia Moenchengladbach. Israel had qualified by disposing of New Zealand and Australia – North Korea had refused to play them – with Spiegler scoring the vital goal in the second leg of the final in Sydney. Israel had to be kept apart from Morroco in the draw for the finals, but they were considered to be one of the weaker teams, so it was unlikely they would make much progress. Spiegler was considered to be Israel’s one decent player, so when he went down with a stomach bug in Puebla, there was mild panic in the camp. Spiegler was propped up by a series of injections and was declared fit enough to play in the opening game against Uruguay. Isreal lost 2-0: “They were better than us, but we were defeated because we knew nothing about their way of playing. The Israel FA didn’t have the money to send someone to scout on them,” said Spiegler. They fared better against Sweden and after falling behind in the 53rd minute, Spiegler hit a 25-yard left foot strike past Sven-Gunnar Larson. In their last game, they earned a credible goalless draw against Italy, but it was not enough to go through to the next stage. The group, which had been played out in Puebla and Toluca, had yielded just six goals in six games, the least interesting group in the 1970 World Cup. But Spiegler and his colleagues had carried the flag well and their reward was a holiday in Acupulco. He returned home to help his club to the 1970-71 Israeli championship, but not before travelling to England at Greenwood’s invitation. Greenwood had seen enough of the elegant midfielder, who was “rangy in build” and “neat in his work”. The World Cup had shown that he was a skilful player who was difficult to play against. 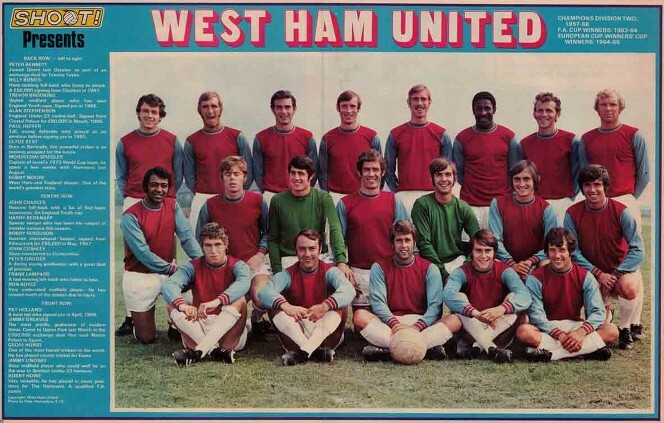 West Ham had lost Martin Peters a few months earlier, although they had the emerging Trevor Brooking in their ranks, along with the likes of Geoff Hurst, Jimmy Greaves and Bobby Moore. If there were question marks, they were about his lack of pace and stamina. He was, after all, an amateur player whose exposure to big-time football was limited. If West Ham were going to sign him, it would have to be on amateur terms for at least two years, after which he would complete his residential qualification. Spiegler himself was happy to get a job outside football and play as a part-timer. West Ham fielded him in three pre-season games, the first at Portsmouth, where he set-up a goal for Brooking. In his second appearance, he played half a game before being substituted at Bristol City. His third and final run-out was as a substitute at Orient, where he came on for Brooking. There were a number of issues to solve if Spiegler was to become a West Ham player. Firstly, the Israeli FA would have to approve the move, then he needed a work permit and the Football League Management Committee would also have to rubber-stamp the transfer. In the end, the obstacles deterred West Ham – or was it that they were not 100% convinced? Spiegler himself was keen to move to England: “I want to play in the Football League because it is the best,” he insisted. The deal seemed to go cold because of “technical reasons” but was revitalised some 12 months later. With Spiegler now 27, there was a realisation that if he was going to make a big move, it had to happen sooner rather than later. Nantes were looming in the background with a supposed £ 30,000 signing-on fee. Spiegler was flown into London for Geoff Hurst’s testimonial, but Tommy Docherty, in charge of the International XI that faced West Ham for the benefit game, only played him as a substitute, despite the presence of Israeli TV at the match. If Spiegler moved to London, the Israeli FA were talking of imposing a 12-month ban, which for a player of his age was a waste of time. Despite publically declaring his respect for Greenwood and West Ham, he also admitted that the Nantes deal was a “big temptation”. There was an underlying feeling that Spiegler had been hedging his bets ever since first training with the Hammers in 1970. He moved to France in 1972 with Paris FC before joining Paris St. Germain and then New York Cosmos, where he appeared alongside another veteran of the 1970 World Cup, Pele. He went on to become a coach. It was a shame that the English game never got to see that, all we can do is take a look at that marvellous goal in the 1970 World Cup. Mordechai Spiegler, or to use his nickname, “Motale”, could have been a star if only bureaucracy and politics had not got in the way.